I am Ashley Cody, the District 6 Director. This is my second year serving on the board. I have enjoyed the interactions with educators in South Central Georgia as well as others throughout the state. In February, I had the honor of speaking to our state legislators on your behalf. Along with Georgia Science Teachers Association, I also represent my district as a Georgia Science Ambassador. 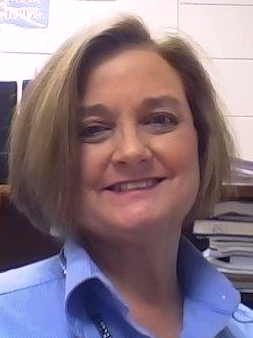 As a Biology teacher at Tift County High School and former Physical Science teacher, I have had the opportunity to transition to the Georgia Standards of Excellence in two areas. In my 22 years of experience, not only have I taught high school, but middle school science as well. I encourage each of you to read the GSTA monthly newsletter, browse GSTA website, and apply for GSTA awards. As a former Mini-Grant Winner, I have gone through the grant writing process and submission. It is totally worth doing! Please email me with questions and/or concerns about anything Science, GSTA membership, Science Saturdays, or area workshops. I will get you an answer or point you to someone who can answer your questions. Let me know about upcoming events and I will get the word out to our members both locally, or if needed, throughout the state. This year we will host the National Science Teachers Association Conference in Atlanta.